My admiration of the solskinsøen, aka Bornholm, is no secret. This small island in the midst of the Baltic Sea took my breath away from our very first encounter on the warm August day nearly 8 years ago as I descended from the ferry docked in Rønne, the capital. 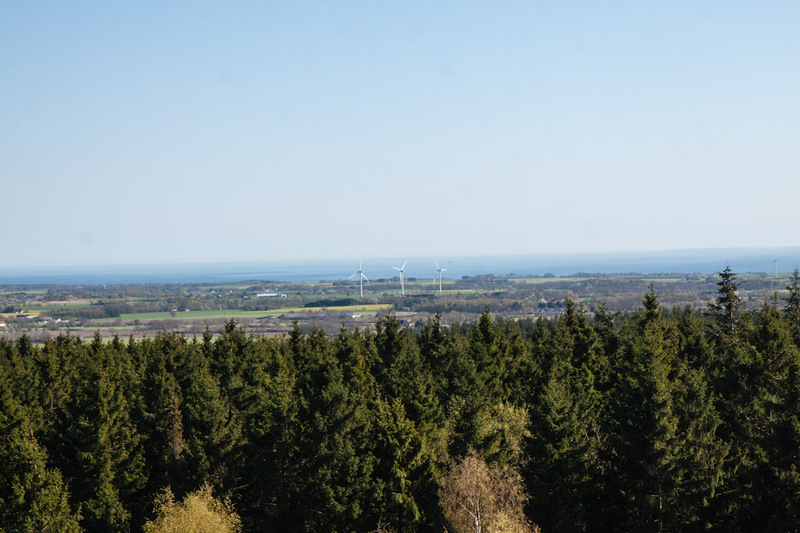 Since then Bornholm greeted me on many, many occasions, every time showing the prettiest of its smiles, beautiful as a shy princess, and fierce as a brave knight. There is something really special about this island that just goes to your heart right the moment you lay your eyes on it. May was my first visit of the year to the island, and I didn’t go alone. Hongyi, my Chinese friend, accompanied me on the trip. May is the period when the rapeseed fields are painting the island yellow, when the trees are in full bloom, when the birds are singing, when the water is azure blue and when the sunsets are a work of art. I think you would say it is called spring. I would certainly agree and send you a smile. 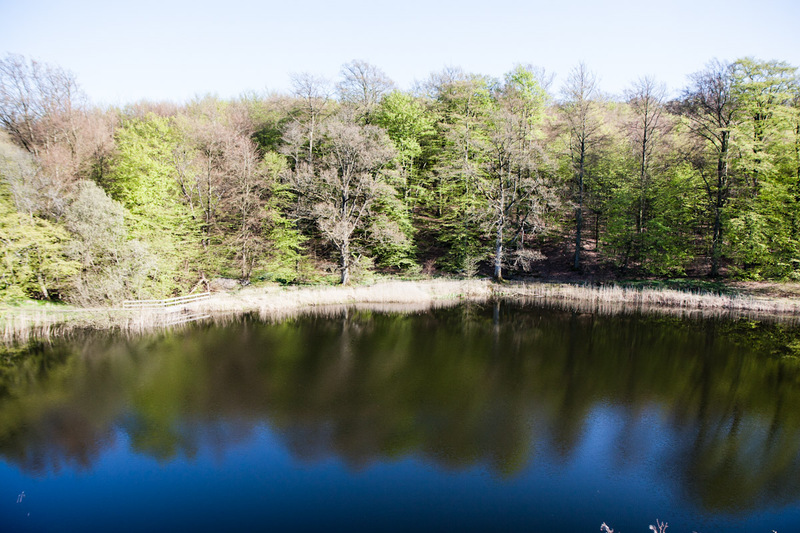 However I would also say that to truly experience the magic of spring, you should just once feel it on Bornholm. As it was Hongyi’s second time on the island, my sweet mother-in-law Hanne prepared a grand tour for her or as much as she could fit in the weekend that we were there. It started with getting a bird’s eye view of the island. 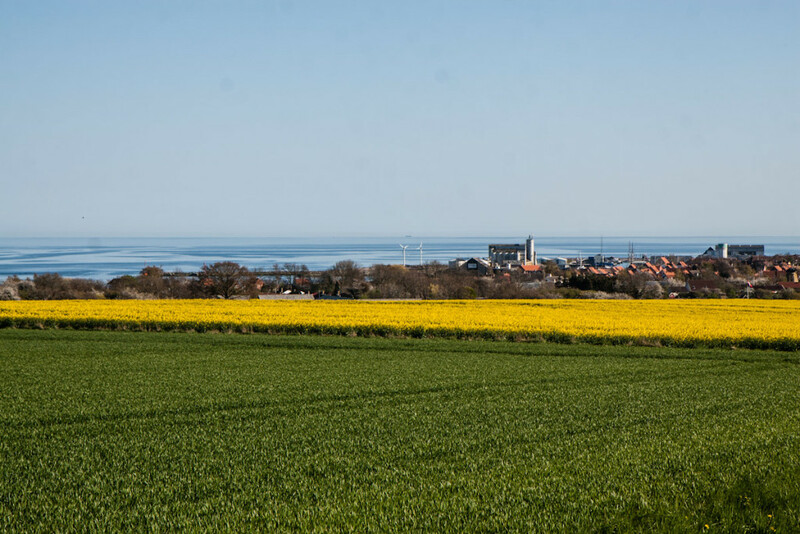 Standing atop a high platform, the island unveiled itself layer by layer from dense forests to fields covered with rapeseed blooms, to windmills and pretty little towns, ending with the blue of the sea. 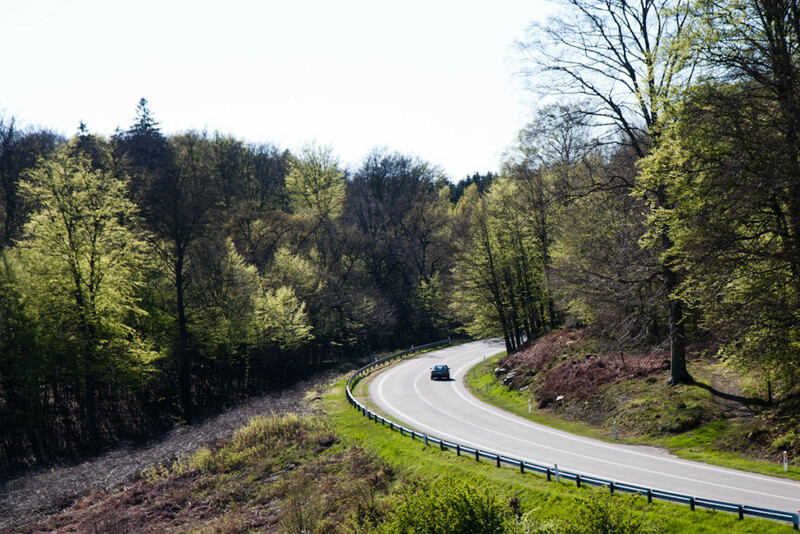 One of my favourite roads on Bornholm. I love the curvy shape, I love how the road disappears into the forest, and I love how the view changes with the seasons. Everything on Bornholm is just made for a postcard. Reaching home to Snogebæk we walked to the beach for some sunset walking. And what a sunset it was! Out of this world! Standing there on a rock by the beach, I felt like I was stepping into a painting, careful even to draw a breath so as not to disperse the magical sight. Good night, Bornholm, you have been such a beauty today! This entry was posted in Denmark, Travel and tagged baltic sea, Bornholm, danmark, denmark, solskinsøen, sunshine island, travel, visit denmark by Anulik. Bookmark the permalink.